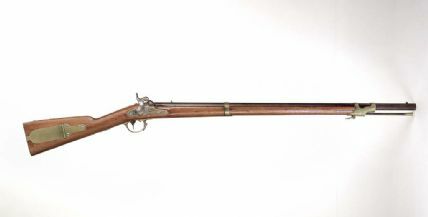 This gun derives its nickname of the "Mississippi rifle" from the Mississippi Riflemen led by Jefferson Davis. 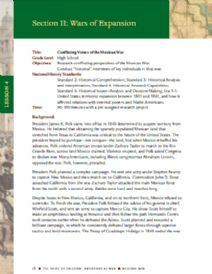 The Mexican-American War began in 1846. Davis looked favorably upon the war as the United States stood to acquire considerable land south of the Missouri Compromise line. It was an area in which Southern institutions could expand. Davis resigned his House seat in June and rejoined the army. On July 18, 1846 he was elected colonel of the First Regiment of Mississippi Riflemen. In September of the same year, he participated in the successful siege of Monterrey, Mexico. In June, the army offered him an appointment as brigadier general of a militia unit, but he declined. In traditional Southern style, he believed the appointment was unconstitutional. The United States Constitution, he argued, gives the power of appointing militia officers to the states, not to the federal government.